and joy? Let's make a connection. 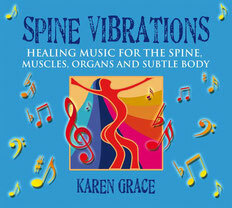 Spine Vibrations is available from Findhorn Press, Amazon and other stores. 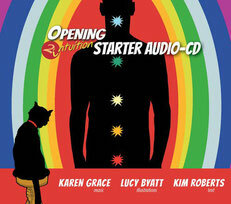 To order or to find out more about this healing sound therapy and chakra journeying CD, click here. Everything in the body vibrates at its own special frequency. This is scientific fact. When we are thrown out of balance through physical, emotional or psychic shocks, our body and psyche can weaken or overload, creating distorted and unbalanced vibrations. The Chinese have known this for centuries, and the recognition of this is the basis for the traditional healing art of Acupuncture and Kinesiology. Want to learn to develop your intuition and psychic self safely? 'Psychic Development - The Basics' may be perfect for you. Click here to purchase. 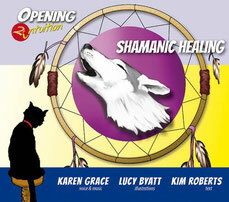 'Shamanic Healing' audio and books are newly released. Click here to order or to find out more. Metamorphosis is an inspirational concept album with thought provoking songs and beautiful, atmospheric music which can be purchased from the Sacred Life shop here. 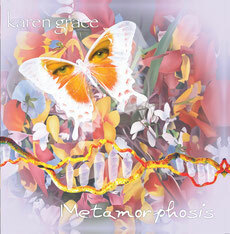 Karen is an award winning, published recording artist, musician and songwriter. She teaches singing and has a Masters degree in voice.